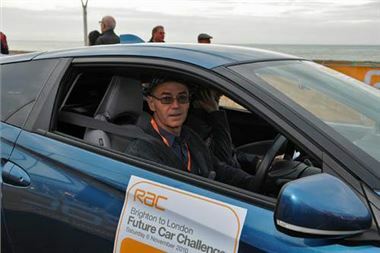 Today, 53 eco-friendly cars took off in a reverse of the RAC London to Brighton Veteran Car Run (which takes place tomorrow) to demonstrate their eco credentials. 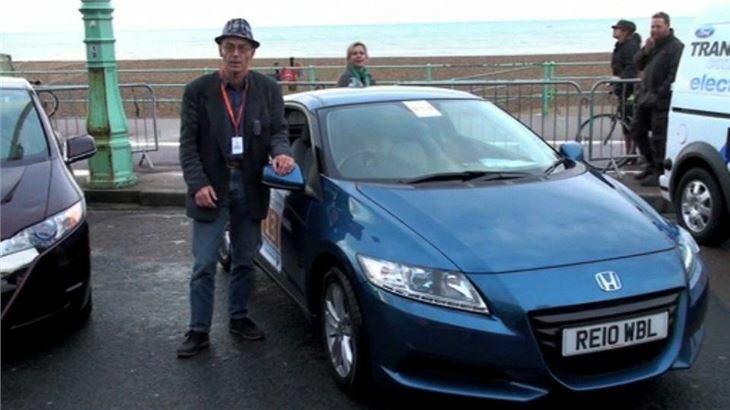 Sadly, the Honda Jazz hybrid scheduled to be driven by Honest John got held up in UK Customs, leaving no choice but to drive a CR-Z in the Futurecar run. But there is some stuff in there for enthusiasts, particularly footage of Gordon Murray's T25, which is the kind of Futurecar that millions of us could be driving in five year's time. The idea of running from Brighton to London on the A23 rather than the M23, on a Saturday shopping day, seven weeks's before Christmas, was challenging to say the least, encompassing such highlights as Croydon, Streatham High Road and Brixton, all of which were jam-packed with horrible nose-to-tail traffic. So any hopes of a 60mpg result were dashed. We managed 5.5 litres for the 57 miles, which corresponds to less than 50mpg. So tmorrow, HJ will take a CR-Z to Northumberland and back, a distance of more than 600 miles, and we'll see how he does on that particular exercise. Tomorrow's RAC London to Brighton run of over a hundred cars, each more than a hundred and five years old, celebrates the repealing of the ridiculous Red Flag Act that compelled every motor car to be preceded by a walking flunkey waving a red flag. Today's Brighton to London run of Futurecars celebrated the repealing of London Congestion Charges for all motor vehicles emitting less than 100g/km CO2.